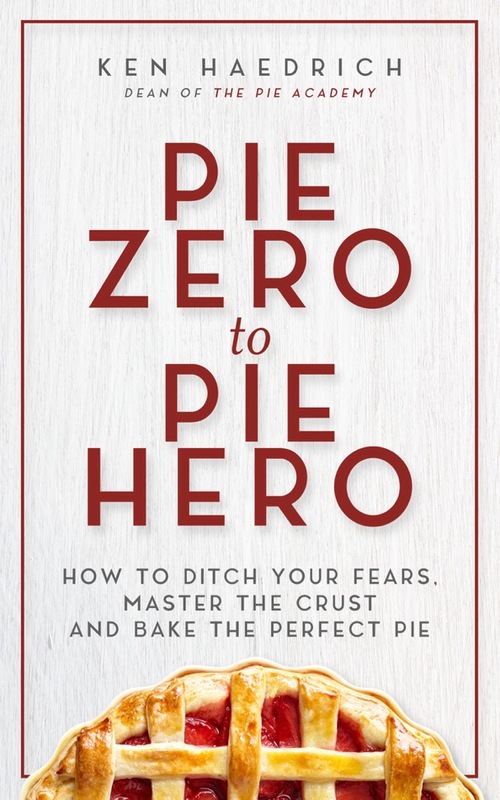 It’s a really big day here at The Pie Academy. After months of planning and production, our new video course is live. 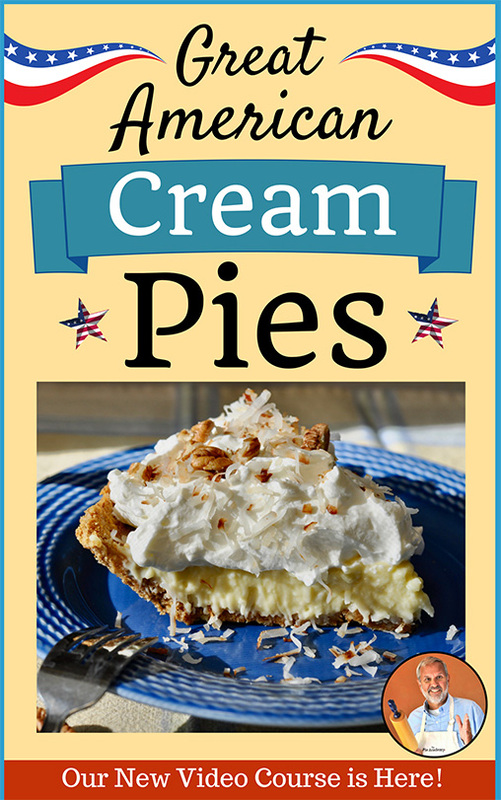 In a recent survey, you – our Pie Academy members – told me that you adore cream pies (evidently as much as I do) and you’d love to see a video course all about them. I listened, and got busy. I might have put on a pound or two in the process. 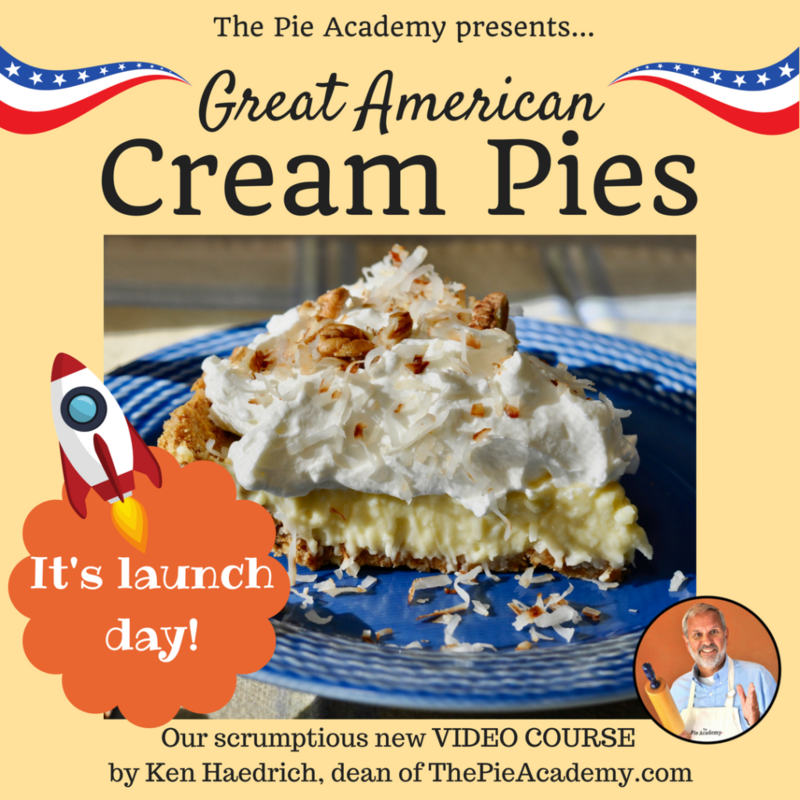 Briefly, GREAT AMERICAN CREAM PIES is what we often call a video course, but I prefer the term multimedia course. 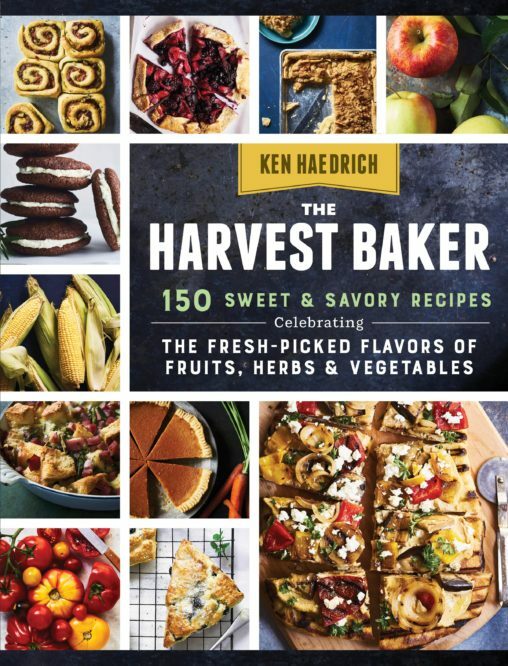 In addition to videos there are audio recordings, numerous downloads like recipes and helpful guides, a full printable transcript of the course, and more. There’s also an active Comment component, which allows you to ask me questions and make comments. The entire course is hosted online, and you can access it 24/7 on any device. There’s a lot under the hood here! So have a look. Don’t delay, so you can benefit from our special launch pricing. 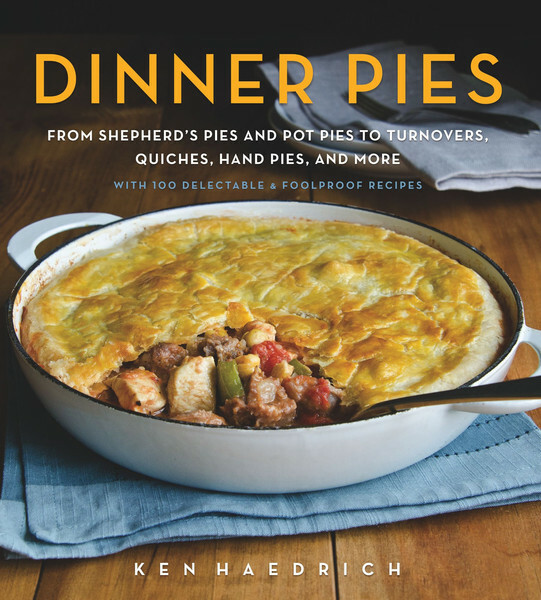 You’ll find all the details here at THE PIE ACADEMY Online School.